Distinctive joinery, bespoke cabinetmaking, craftsman-built hardwood furniture. Our bespoke hand-made kitchens are customized to the exact specification of each individual client. To make sure you do not have to compromise on your project, we adapt cabinets to any awkward space, maintaining the design exactly to your requirements. The bedroom is a space where you shake off those daily blues, kick off those shoes and melt away into your relaxation time. We believe that a bedroom is one of the most personal rooms in the house. Therefore, here at MB Woodcraft we design your bespoke bedroom that is cosy, luxurious and sophisticated. Our superior quality bespoke sliding door wardrobes will give your bedroom instant style, character and charm, as well as plenty of storage space. Sliding doors aren’t just for the bedrooms, use them in any part of your house. Small alcoves and awkward spaces exist in all homes, so let sliding doors do the work and utilise the space. Whether you desire to work in your specially design office at home where focus is the priority, or perhaps you wish for a relaxing library, where you can lose yourself with a book. Here at MB Woodcraft we will create your completely bespoke, unique study, office or library to fit flawlessly in to any room in your house. Transform your home with a stylish, elegant, wooden staircase that will become an astounding centrepiece. MB Woodcraft will find a solution and help to transform seemingly simple stairs into a distinctive principal feature of your home. Our passion for fine joinery would not be fulfilled without made to order, bespoke freestanding furniture. With quality and style at the core of our crafting, create a full range of bespoke, free standing furniture: from dinning room tables and chest of drawers to free standing wardrobes and cabinets. MB Woodcraft continue to inspire and delight all customers. Throughout our work we remain the ‘masters of detail’ ensuring every single project is tailored to suit our client’s personal needs. All our bespoke projects are planned to perfection and executed to the highest standard. A local furniture and joinery manufacturer who have worked hard to build up a good reputation in North Lancashire and South Cumbria. MB Woodcraft was established in 2009 by Mariusz Balcer, a highly qualified professional cabinet maker with over 25 years experience in carpentry, fine-joinery work and furniture tailoring. Mariusz qualified as Master Tradesman of Carpentry in 1998 and has a passion for producing the highest quality work with exceptional attention to detail. We cover Lancaster, Morecambe, Heysham, Carnforth, Preston, Garstang, Longridge, Blackpool, Kendal, Kirkby Lonsdale, Windermere, Ambleside, Grange over Sands, Ulverstone, Newby Bridge and the surrounding areas. 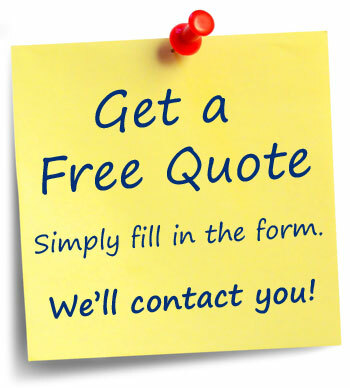 We are happy to consider alternative UK locations, so do contact us with any queries. Mariusz and the team at MB Woodcraft have done a great professional job of making and fitting a hardwood external doorframe and door into our garden. We wanted an oversized, tall door and from the initial discussion through to completing the job, Mariusz was helpful, prompt, tidy and has crafted exactly the door we had in mind. A great craftsman and we highly recommend MB Woodcraft. He did a great job. He paid attention to detail and was very professional. I would not hesitate to recommend MB Woodcraft. Excellent, friendly neat and tidy workman. Quality designer and craftsman. Honest and Trustworthy. Fair value for work done. My wife and I decided to have a bespoke TV/HIFI cabinet made and found MB Woodcraft on line. I called the owner, Mariusz, and discussed the requirements before sending him a drawing. He then provided a CAD drawing which detailed the exact requirements for my approval. Following agreement of the design, price and lead time, the item was delivered to our home. The cabinet was exactly as agreed and to a very high standard. I am quite a critical customer, but was very impressed by both the quality of the product and of the service and communication that had been provided. We would certainly recommend this firm and will use them again for anything similar. We are so pleased with our newly fitted wardrobes. 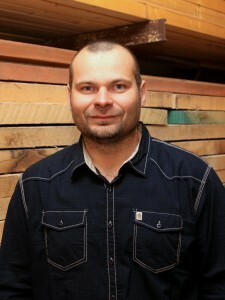 Mariusz is very friendly and polite and an exceptionally skilled and experienced joiner. I would 100% recommend MB Woodcraft. Outstanding! We’d just like to say how pleased we are with the alcove cupboard you built for us. The design and finish are superb, and we are delighted with the result. Your work shows real craftsmanship. We also found the initial consultation very helpful, especially as you were able to bring photos and some samples to show us, and we appreciated your thoughtful approach to choosing what was right for the room. It was a great pleasure to meet you, and we have already recommended you to others. Mariusz restored to its full glory a table that's been in my family since about 1920, and which had been abused over the years by some well-intending but incompetent people. The result of the restoration was astonishing, far exceeding my expectations. Mariusz is an expert joiner and works quickly. Warmly recommended. I found Mariusz to be very knowledgeable and the quality of his work is second to none, also a nice chap to deal with and reliable. Excellent service, polite efficient, neat and tidy work cleaned up afterwards and left no mess, would thoroughly recommend. He provided an excellent service. He always kept me informed, he was on time and he offered a good price. Very impressed with the service from MB Woodcraft Ltd, from the initial design all the way through to the end product. The workmanship is of a superior quality and the job was done in a timely, friendly and efficient manner. The walk in wardrobe and our bespoke bookcase (which covers a full wall) are fantastic. I can highly recommend this company. Marius completed the work on the day we had arranged, cleaned up afterwards and left us with a beautiful piece of furniture which will last a lifetime. Craftsman-built hardwood furniture for the bedroom, kitchen and any space where the highest possible standard of workmanship is demanded. Specialist in Oak, Walnut, Mahogany, Fruitwoods and inlay techniques. Here at MB Woodcraft we take pride in making a wide variety of beautiful, unique and original furniture, ranging from freestanding customer-specified one-off pieces to limited-edition beautifully designed examples. From traditional to modern and contemporary. From classic kitchens to bespoke bedrooms and bathrooms, custom made to any shape and size, fitted furniture suited to your needs. Timber windows and doors for building companies, property developers, contractors, etc. Bespoke furniture and joinery for interior designers, project managers, architects, etc. A wide range of freestanding furniture supplied to the retail market. Send a message, call us or drop by.